Create your account by adding your contact info and choosing an available web address. Setup your first tournament with just a few clicks. Add credits to enable angler registration. How many do I need? How many credits do I need to register my anglers to a tournament? The first 3 anglers registering to your tournament are FREE. 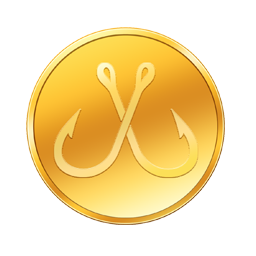 After that, you'll need at least 1 credits (based on a 1-day tournament) to register each additional angler to your tournament. If your tournament is longer than a single day, this amount will be larger based on your tournament's duration. For example, a 2-day tournament requires 2 credits to register each angler and a 3-day tournament requires 3 credits to register each angler. Maintain your account with sufficient credits. How many do I need? To keep your account active and available to the public, along with any tournaments, leaderboards, event logs, and registered profiles, there is an automatic debit of 5 credits per month on your account billing date. You will also be debited an additional 1 credit per month for each tournament you have in the system. For this reason, it's important to always keep a positive credit balance on your account if you wish to keep it active. What happens if I don't keep my account enough credits in my account to maintain it? If you do not have enough credits in your account to maintain it on your monthly billing date, it will be automatically de-activated and no longer available online. Accounts with no activity for more than 1 year will be automatically deleted. Abandoned and empty accounts will be deleted within 90 days. Credits on deleted accounts will not be refunded. We have just sent a verification code to your e-mail address. Please enter that code here to activate your account. Your new account will be accessible through it's own personalized web address. You can choose any web address that hasn't already been used. We have automatically filled in a suggested address based on the name of your organization. Once your account is created, this address will be emailed to you along with your login credentials. I have read and agree to the Terms & Conditions for using the Web Pro Tournament Manager software. IMPORTANT: Activation can take up to 2 minutes! Please be patient and don't close your browser until it is complete.